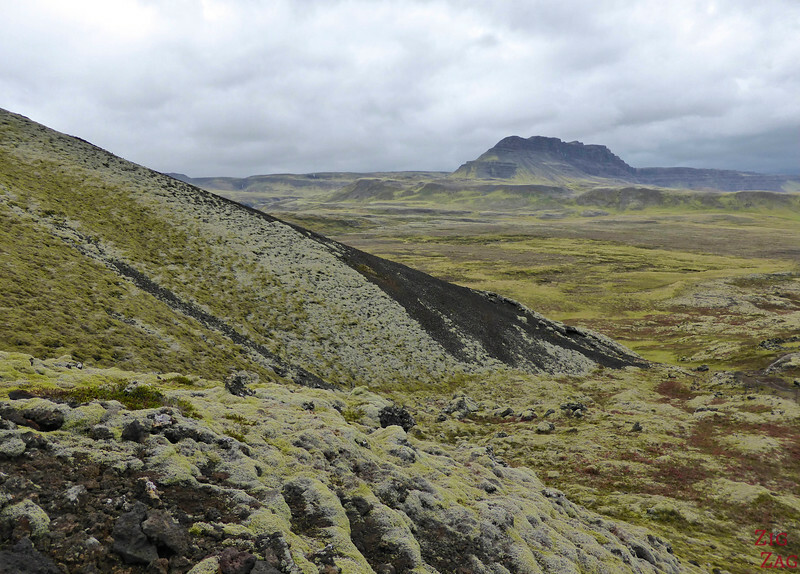 No need to love geology to be impressed by the well preserved volcanic craters of Grabrok Iceland. 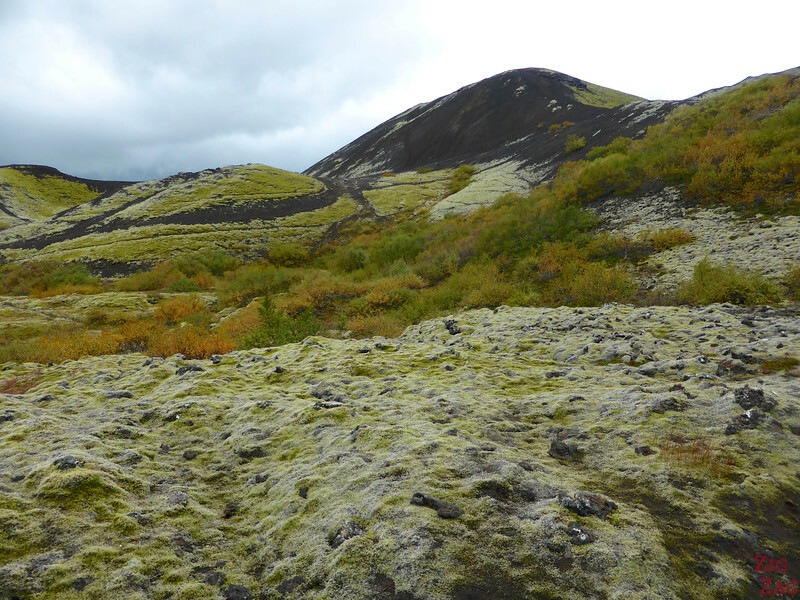 Just off the Ring Road, the site offers nice walks up to the Rim or through the lava filed… well, nice until the wind starts blowing and you almost fall in the crater! 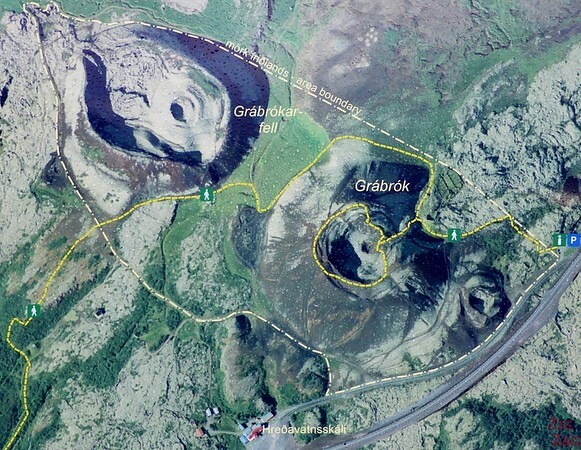 The Grabrok craters (also called Grabrokargigar) were protected as natural monuments in 1962 to preserve the 3 scoria cones which belongs to the Snaefellsnes volcanic zone. They are believed to be somewhat younger than 3600 years. Grabrok, along with many other beautiful places, is included in my eBook: The Road Trip Guide - Iceland. Even if you don’t have much time I recommend a stop as you do not see many volcanoes so perfectly shaped. Located right by Road 1 it is a really great place to stay for the night. The landscapes are enjoyable. During the climb to Grabrok’s crater, you get some really nice views of the valley and discover very rugged lava fields.
. 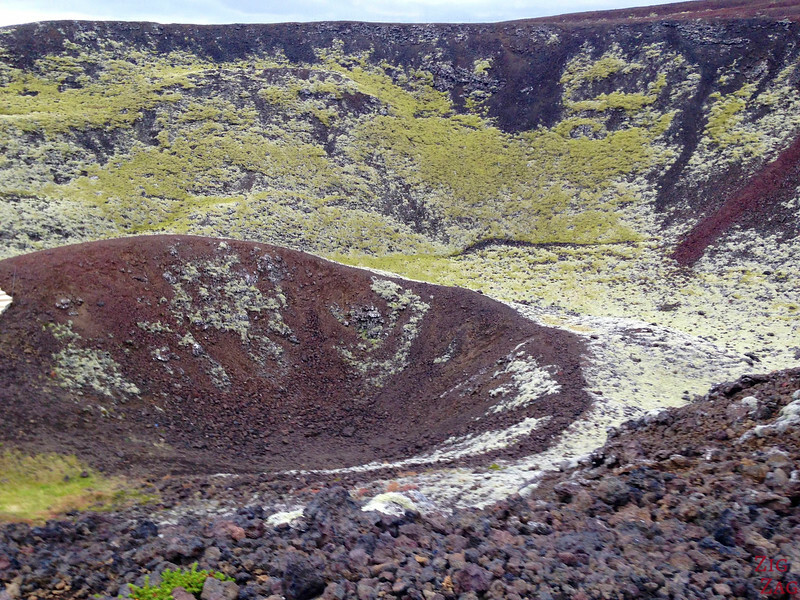 It is not the most impressive crater but it is a nice walk with good views and easy enough for most people to reach it. 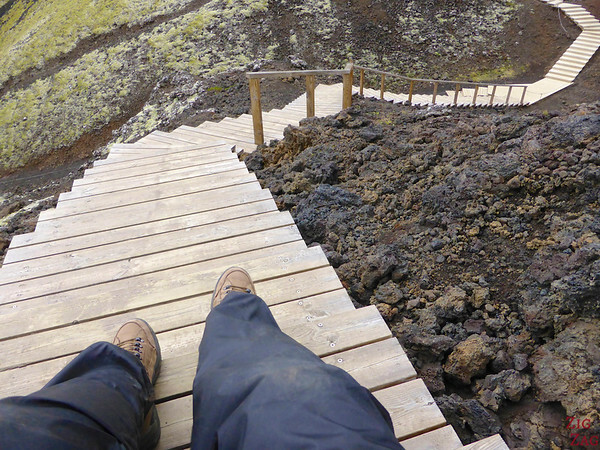 The path allows you to walk all the way around the crater. I started anticlockwise and after a few meters I got blown away by the wind. What a scare! The Icelandic wind can be really strong. I almost fell into the crater. So I just folded on my knees and waited. The wind did not stop and I came back down on my bottom until I was protected from the wind. Fun memories! Have you ever climbed a volcanic cone? Wow…that is very rugged scenery. I don’t think I’ve ever climbed a volcanic cone, but I have walked up Hanging Rock…which, I recall is the lava of an ancient volcano. Amazing scenery, Claire and great photos. It must have been a scary moment when the wind blew you – glad to hear you didn’t end up in the volcano! 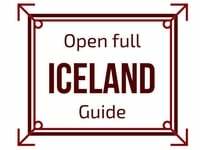 Iceland is on my bucket list so I’ll be bookmarking this page for future reference. Thanks Carolyn. My 2 weeks in Iceland were amazing. I can’t recommend it enough. Love this, we fell in love in Iceland when we went in the winter. Would love to go back and explore in the summer!